First start since disappointing at Aintree back in April in the G1 JLT Melling Chase behind Politologue. Was well fancied at the Festival when winning the Ryanair Chase from Un De Sceaux - who won the Devenish Chase and BoyleSports Champion Chase over in Ireland, a month later. Now up in trip, with a Gold Cup campaign looming, this looks a great place to start, and surely possesses the most amount of ability from the Gigginstown string. 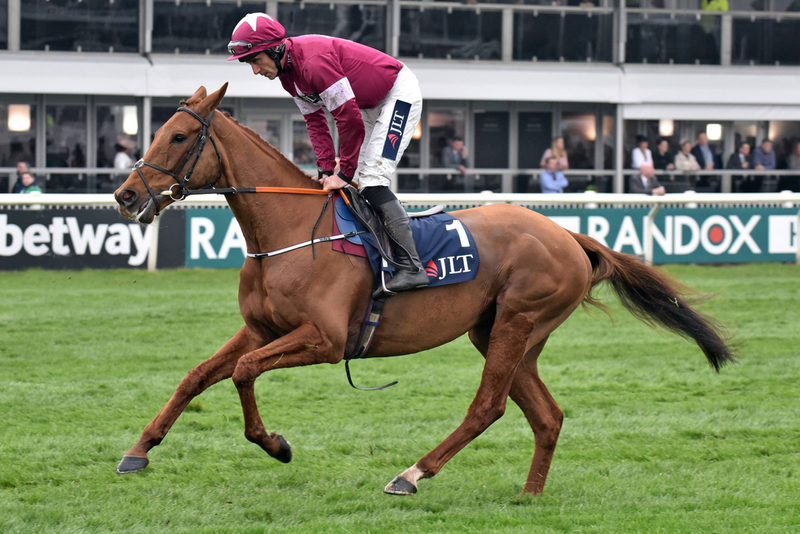 Don Poli - now a 9yo, keeps on plugging on every season. Despite always appearing to be the one first off the bridle, he always manages to run into a place - most notably 3rd in the Cheltenham Gold Cup of 2016. However, he has been off the track some time, and it is unknown if his best days are now completely behind him. Will need this run before being considered a contender. Now 10yo, Outlander finished second at Punchestown on his seasonal reappearance in the G3 Irish Daily Star Chase. Arrives here looking to defend his crown, but another getting older and climbing the weights. He is also, the only Course and Distance winner in the field. Finished a very good fourth in the Cheltenham Gold Cup behind Native River, before third to Bellshill in the Coral Punchestown Gold Cup. Beat Balko Des Flos in the Christmas Chase at Leopardstown and looks a progressive type. Only 7, and has plenty to look forward to. Hasn't won a race since July 2017 which was only a maiden, and faces a big step-up in class now. Maybe won to draw a line through, with a wall of Gigginstown horses to face. Has already raced three times this season, winning at both Galway and Punchestown. Has comfortably dismissed Sandymount Duke on both occasions, and ran on strongly ahead of Outlander most recently in the Irish Daily Star Chase. Bidding for the hat-trick, and will definitely be in the mix. Another for the Cheltenham Gold Cup 2017 winning trainer Jessie Harrington, Woodland Opera arrives here having completed a hat-trick of wins in the PWC Champion Chase at Gowran Park last time out. Form looks strong, with the ten-length second Jury Duty, franking the form in the American Grand National of late, and looks set to play a role here.